The Peak of Christmas is popular annual tradition. 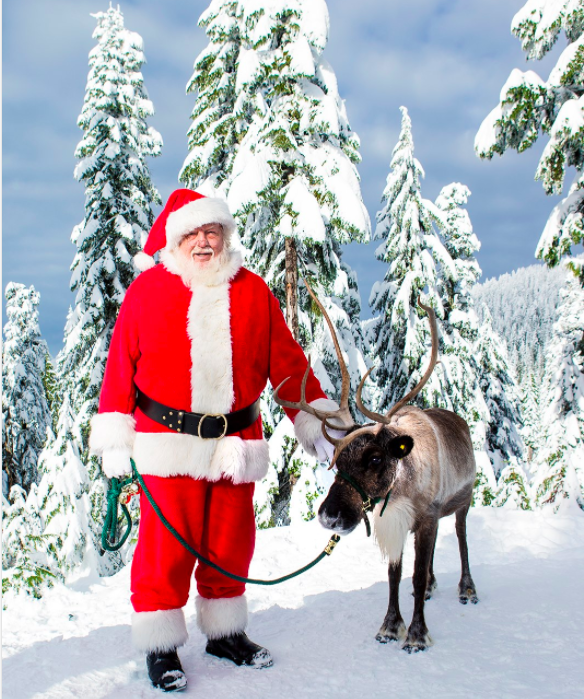 Experience the magic of the season on Grouse Mountain. Visit Santa’s Workshop, meet reindeer, skate the outdoor rink, enjoy the new Light Walk around Grouse Lake, take a sleigh ride through the alpine forest and visit the Gingerbread Village, showcasing gingerbread houses constructed by talented bakery and pastry artists. Light Walk (dusk-10pm): Experience the magical Light Walk around Blue Grouse Lake. Sliding Zone – (10am-10pm): The Sliding Zone as designated lanes and groomed terrain perfect for sliding. Outdoor Ice Skating: (9am to 10pm) Enjoy the 8,000 square foot outdoor skating pond. Favourite Christmas Movies: Watch Christmas movies on the big screen in the mountaintop theatre. Movies run 9:30am to 9pm daily.